The shopping centre and the adjacent parking lot stayed closed as about a hundred police officers positioned themselves around the compound to make sure nobody could enter the mall. BERLIN: Police ordered a shopping mall in the western German city of Essen not to open on Saturday after receiving credible tips of an imminent attack. The shopping centre and the adjacent parking lot stayed closed as about a hundred police officers positioned themselves around the compound to make sure nobody could enter the mall. Several officers scoured the inside of the building to bring out early morning cleaning staff. "As police, we are the security authority here and have decided to close the mall," police spokesman Christoph Wickhorst said, adding that they had been tipped off late on Friday by other security agencies. He did not want to provide further details because of the ongoing investigation. 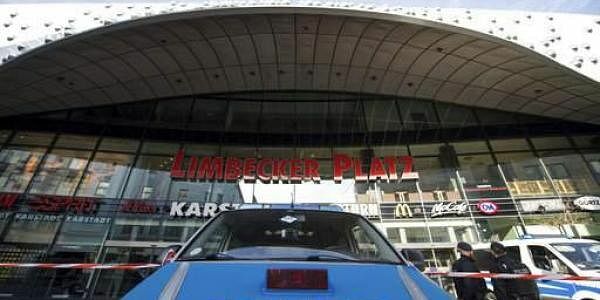 The downtown mall at Limbecker Platz square will be closed for the entire day. The mall is one of the biggest in Germany with more than 200 stores, according to the shopping centre's website. In 2016, three people were injured in an attack on a Sikh temple in Essen by radicalized German-born Muslim teenagers. Germany has been on the edge following a series of attacks in public places over the past year.